Army commanders rely upon timely, relevant, and accurate combat information and intelligence in order to successfully plan, prepare, and execute operations. 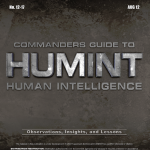 Human intelligence (HUMINT) and counterintelligence (CI) are two critical assets commanders have, either organic to their unit’s table of organization and equipment (TOE) or through attachment from a supporting command, which can provide input to both combat information and intelligence. 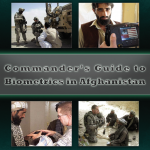 While there are similarities between the methodology and tactics, techniques, and procedures (TTP) used by HUMINT and CI, their training and missions are separate and distinct. Tactical Combat Casualty Care (TCCC) is the pre-hospital care rendered to a casualty in a tactical, combat environment. The principles of TCCC are fundamentally different from those of traditional civilian trauma care, which is practiced by most medical providers and medics. These differences are based on both the unique patterns and types of wounds that are suffered in combat and the tactical environment medical personnel face in combat. Unique combat wounds and tactical environments make it difficult to determine which intervention to perform at what time. Besides addressing a casualty’s medical condition, responding medical personnel must also address the tactical situation faced while providing casualty care in combat. A medically correct intervention performed at the wrong time may lead to further casualties. Stated another way, “good medicine may be bad tactics,” which can get the rescuer and casualty killed. To successfully navigate these issues, medical providers must have skills and training focused on combat trauma care, as opposed to civilian trauma care. A 2005 Center for Army Lessons Learned presentation titled “If You Learn Nothing Else About Arab Culture: Arab Culture Condensed to 15 Slides” describing conventions and common aspects of Arab culture. Warfare in the 21st Century necessitates a complete shift in the way we think and the way we fight. More than ever, the use of nonlethal effects is having a profound impact on conflicts. Much of today’s battlefield is in the minds of the public, shaped by the spoken word, cyberspace, media, and other means of strategic communications, as well as by our physical actions. Consequently, melding information with physical operations may very well be decisive in counterinsurgency and other stability operations. By melding information operations with physical operations, the division commander, who is executing a war against an insurgency and simultaneously attempting to pacify a populace, can gain the respect, compliance, and support of the people who may tip the balance in his favor. The enemy has become adept at all means of communications, in particular information operations, and uses his actions to reinforce his message. As a result, he influences not only the indigenous population but also the world as a whole. The Army is currently engaged in two fights in southwest Asia. However, future conflicts could possibly be brewing throughout all of south and southeast Asia. The largest Islamic country in the world is not in the Middle East but is in Asia: Indonesia with approximately 197 million Muslims. And throughout southern Asia, insurgency and radicalization is on the rise. At a recent conference in Bangladesh, Major General (Retired) A.N.M. Muniruzzaman of the Bangladesh Institute of Peace and Security Studies announced south Asia is now the “epicenter for global terrorism.” Not one of the attendees from Bangladesh, India, Pakistan, Sri Lanka, Nepal, the United States, Canada, Germany, Norway, Spain, Australia, New Zealand, and Singapore disagreed with him. The U.S. Army, Pacific Command Chemical, Biological, Radiological, Nuclear, and High Yield Explosives Division and the 71st Chemical Company recently redeployed from Japan in support of Operation Tomodachi. Their efforts provide the center of gravity for this collection effort. This document will strive to highlight and capture some best practices and issues requiring further study by the U.S. Army Chemical, Biological, Radiological, and Nuclear School and other units deploying to similar operations. In January 2009 the Army’s authority to unilaterally apprehend and detain insurgents in Iraq expired. The Army now operates in Iraq at the invitation of the Government of Iraq (GOI). The change in the Army’s authority heightens the guiding principle of working by, with, and through the Iraqi Security Forces (ISF). The Army must work within the Iraqi rule of law when dealing with insurgents who threaten U.S. forces. It requires the Army to work with the ISF and the Iraqi court system to remove insurgents from the street. The Army must learn how the Iraqi system is structured and how its courts operate. The Army must also help educate the Iraqi courts, particularly the judges, on the science of how Americans collect and process evidence (forensics). Educating the judges on forensics is important to the Army having its day in court and its evidence entered into the proceeding against the insurgents. A Center for Army Lessons Learned smart card from 2010 detailing procedures for conducting traffic control point operations. Patrols are one of the most common operations a unit will perform in the counterinsurgency (COIN) environment. A patrol is the basis for many other types of operations. Cordon and search, reconnaissance, demonstration of force, security, and traffic control checkpoints are all activities a unit may perform while on patrol. Patrols are invaluable in the COIN environment because they enable units to interface with the indigenous population and gain human intelligence. Managing combat trauma on the modern battlefield represents challenges that are scarcely encountered within the civilian community. 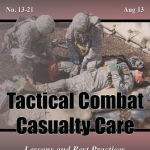 The advent of tactical combat casualty care (TCCC) represented a fundamental paradigm shift from the care of casualties (CAX) that evolved in the late 1970s. Special operations forces (SOF) engaged in combat operations, removed from conventional forces (CF) and with austere logistical support, represent a set of unique challenges, as well. The limited amount of equipment and medical supplies, coupled with delays in evacuation, add to what is already a frightening experience. Being wounded also generates great fear and anxiety in the CAX. Special operations medics, exposed to hostile fire while caring for CAX, become likely targets, resulting in the special operations medic unintentionally becoming “part of the problem, not the solution” and forcing CAX to care for themselves. The conditions associated with this type of environment demand specialized training for all SOF. We refer to this specialized training as SOF combat casualty care. 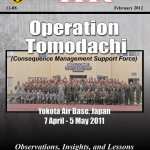 The purpose of this special study is to provide commanders, leaders, and planners at the tactical, operational, and strategic levels a guide that synchronizes strategic-level requirements and outcomes with operational- and tactical-level objectives, therefore providing synergy of effort that will support the Army Force Generation cycle and reset planning timelines. 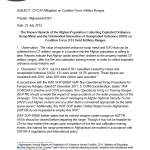 It is our hope that this information will be useful to both sustainment and maneuver commanders, that it will constitute a historical survey of recent drawdown operations, and that it will offer tactics, techniques, and procedures that can be used today and in the future to assist cornmanders at all levels with the planning and execution of the responsible drawdown of forces. The United States and our allies are fighting terrorists who have defined this conflict as religiously based. Commanders on both sides have identified the center of gravity as the popular support of the people and understand the value of leveraging the religious aspects of the indigenous culture. 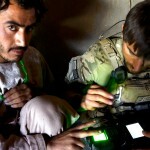 Coalition commanders must apply that knowledge to support the overall objectives. Using chaplains, whose expertise includes religion and religious culture, shows great potential for success for enabling operational goals. 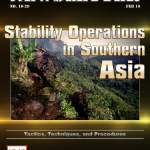 This handbook was written to assist Soldiers and leaders at the platoon, company, and battalion level to better understand the importance of their actions on an objective, as well as to teach the fundamentals of tactical site exploitation (TSE) and cache search operations. While selecting the right Soldiers to be on a TSE team is important, the Soldiers and leaders must also understand the importance of the TSE process and the end results of their efforts. 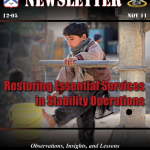 Proper TSE fuels the intelligence-operations cycle and may quickly answer the commander’s critical information requirements and assist in the criminal prosecution of detainees. The MWD program endured four decades of peace and brief contingency operations from the end of the Vietnam era to the current Global War on Terrorism. The program remained firmly embedded in the Military Police Corps combat support, law and order, and force protection missions. In late 2001, the onset of military operations in Afghanistan provided the impetus to expand MWD capabilities in support of commanders in the field. In 2002, as a direct result of an immediate operational need in Afghanistan, Army leadership directed the establishment of an Army mine detection dog unit and embedded it in the Corps of Engineers. In 2004, as a result of cooperation between the U.S. Army Engineer School and the U.S. Army Military Police School, the Army added a non-aggressive, specialized search dog (explosives detection dog) to the MWD inventory. Combat tracker dogs are returning to Army use as well, along with a very limited number of human remains detector or cadaver search dogs. Two constants emerge in the 60-plus-year history of Army MWD use: working dogs are used in a variety of units for a wide range of missions, and the size of the MWD program has expanded and contracted over time based on the needs of the Army. In the current and projected future operating environment, the MWD program will undoubtedly expand once again.